Earlier this week the Royal Caribbean Oasis of the Seas was damaged when a massive crane fell on the vessel while it was in dry dock in the Bahamas. The ship had been transported to the Bahamas to undergo routine maintenance. But the falling crane did such damage to the ship that Royal Caribbean has been forced to cancel three itineraries. 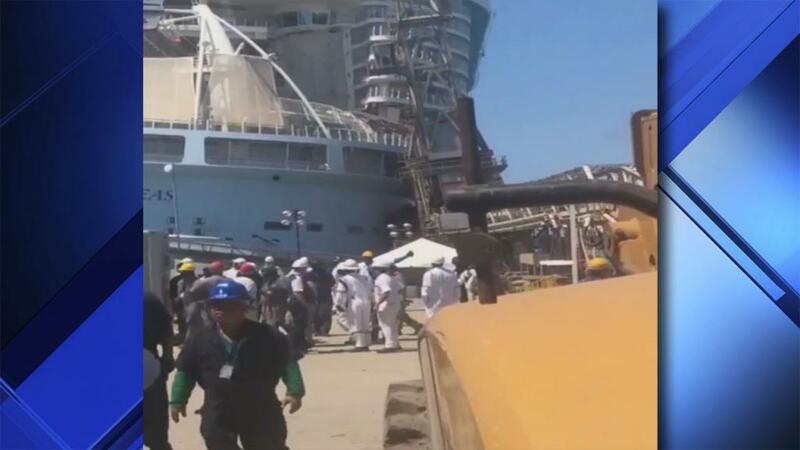 Royal Caribbean officials are continuing to assess the damage to the ship, which is one of the largest cruise ships in the world. Published reports indicate that eight people were injured in the incident. None of the injuries were life-threatening.